FiberTite Roofing Systems for Schools, Educational Facilities. 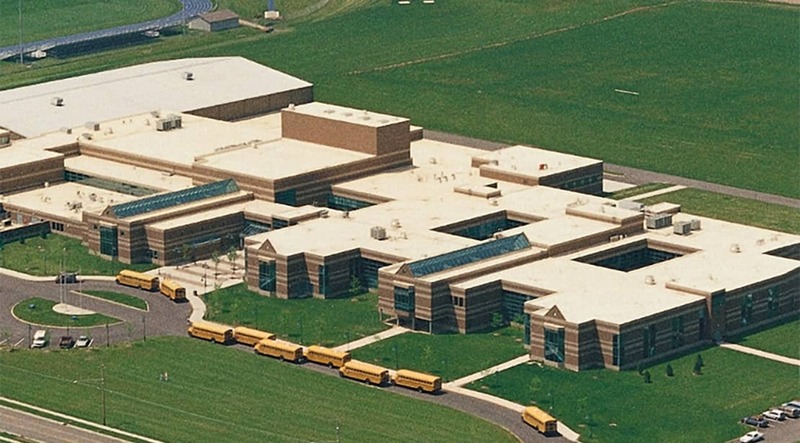 Wooster High School covers high-tech facilities with FiberTite® roofing membranes. When Wooster, Ohio, school officials needed a roof for a new 386,000 square-foot, state-of-the-art high school, they turned to hometown Seaman Corporation and the company’s FiberTite® Roofing System. The 1,600-student high school facility, managed by Wooster City Schools in concert with the parks and recreation department and the YMCA, is also a community center, one both technologically advanced and user-friendly. Besides the usual appointments, such as classrooms, laboratories, prep rooms, gathering rooms, libraries and athletic fields, the facility also boasts amenities most high school administrators, teachers, coaches and students can only dream about. The 200,000-square-foot roof is made of FiberTite membrane that combines Seaman-developed fabric technology with a proprietary blend of polyester fibers and DuPont™ Elvaloy® KEE coating. The fabric is engineered to resist tearing, abrasion and puncture, and has a tensile strength of 8500 psi. The FiberTite coating process forms a molecular bond between the fabric and the coating, designed to prohibit the entry of destructive moisture or chemical solutions. It also prevents any delamination of the coating from the fabric. The product “worked very well,” said Walter Neubert of Franklin Roofing, Painesville, Ohio. “Our guys really liked working with it,” he added. “It’s a heat-welded product. That allowed us to do the job a little quicker.” Neubert said he also liked the light color of the material, which provides a good reflective value.